Upon arrival, we decided to snoop around the castle itself first. Surrounded by a moat with ducks, a Tudor garden and hedge animals, this majestic castle boasts over 700 years of history. As you weave from room to room, taking in the views of paintings, 16th and 17th century furniture and stony walls, information is dotted around in order to allow the visitor to fully immerse themselves in the history this medieval castle holds. It's truly beautiful. Although it was built in 1270, the castle is most famously known as Anne Boleyn's childhood home. With love notes from Henry VIII displayed in one room, and their love story shown through mannequins in Tudor dress along one corridor, this is truly an amazing place to visit if Tudor history is your thing. Anne, the future Queen of England whose romance with King Henry VIII sparked the break from the Catholic church (in order for him to divorce his current wife and marry Anne), spent years at the castle before Henry married her; the castle even shows the room Henry stayed in when he visited Anne at Hever Castle. I found it fascinating! After perusing the castle, we wandered into the maze just outside. 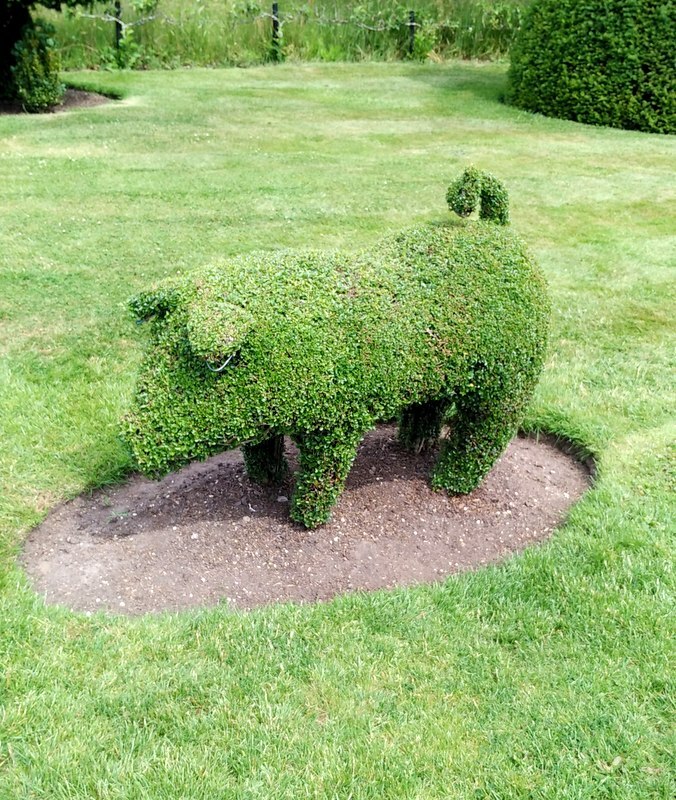 Although neither large nor particularly challenging, it's a fun addition to the beautiful grounds that is perfect for entertaining children and boyfriends alike. 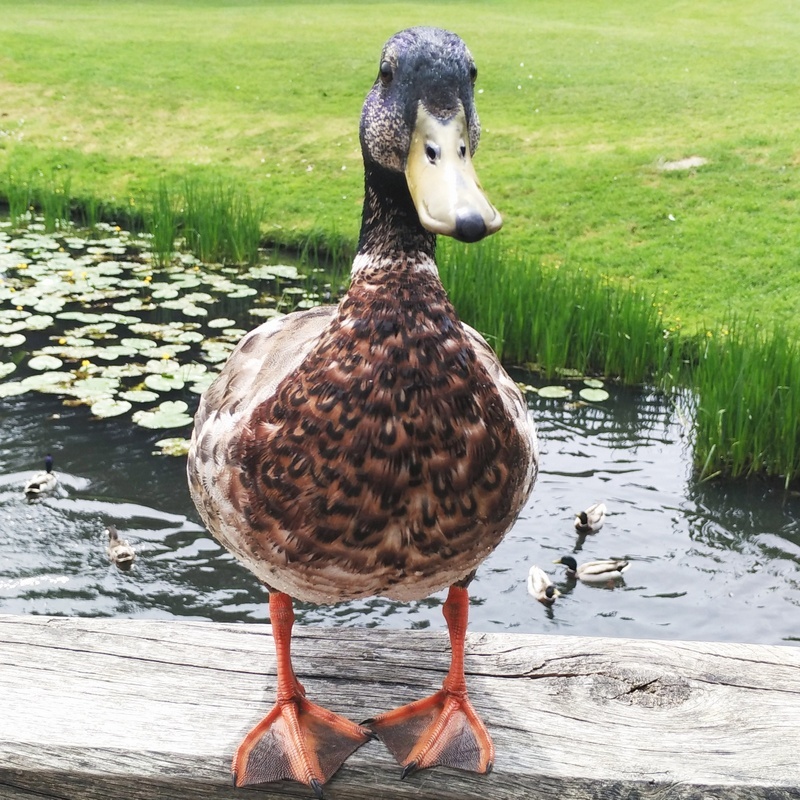 The lake that runs around the castle is stunning and homes many very friendly ducks who will come up to you to say hello. 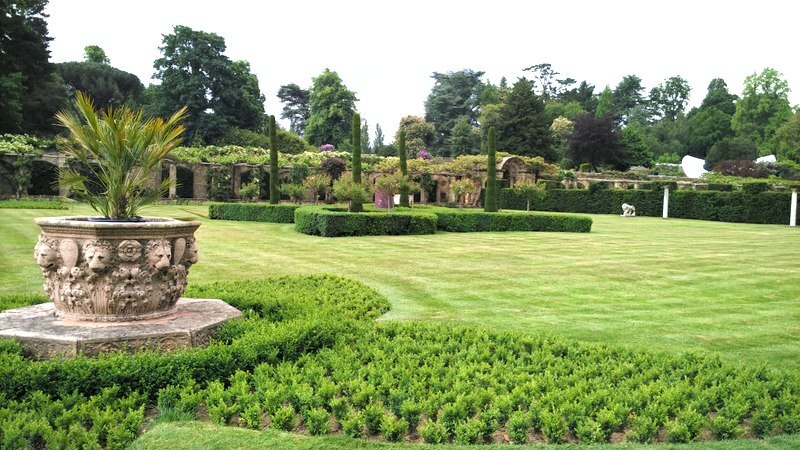 The chess pieces carved from hedges is simply beautiful, and the green gardens and blooming flowers that span these vasts grounds are a delight to walk through. 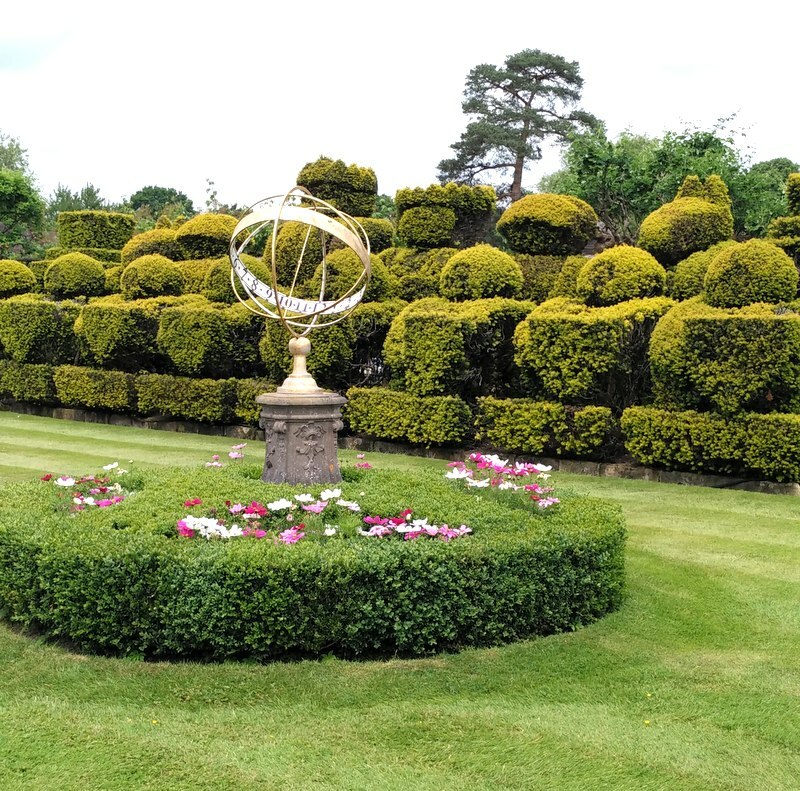 We strolled through the Tudor, Italian and picturesque English rose gardens in absolute awe. 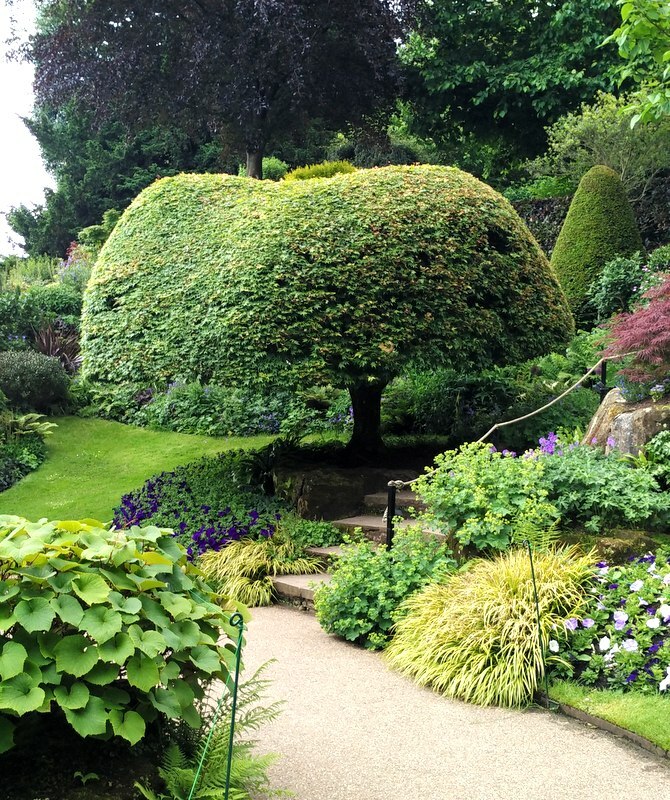 Words cannot describe just how beautiful these gardens are. If you enjoy strolls through woods, pottering around perfectly kept gardens, or sitting by the lake and watching the world go by, I cannot recommend this place enough. 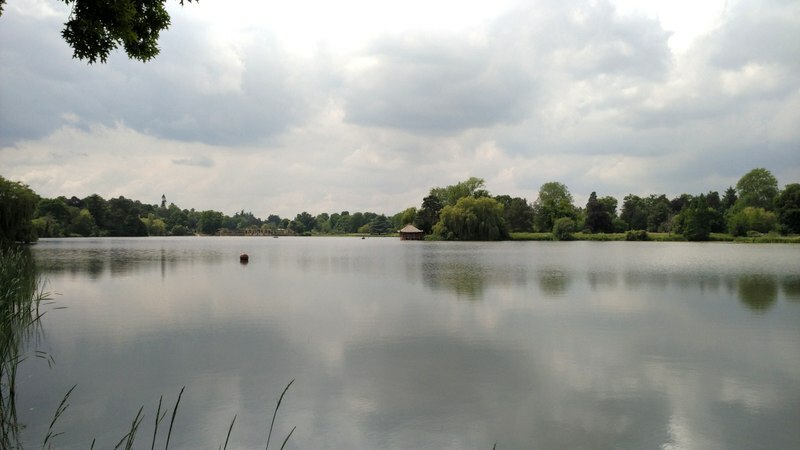 Stewart and I love walking, and so after finding our way through the gardens we moved on to a huge open field by the main lake, continuing down alongside it until we came to a woodland area. 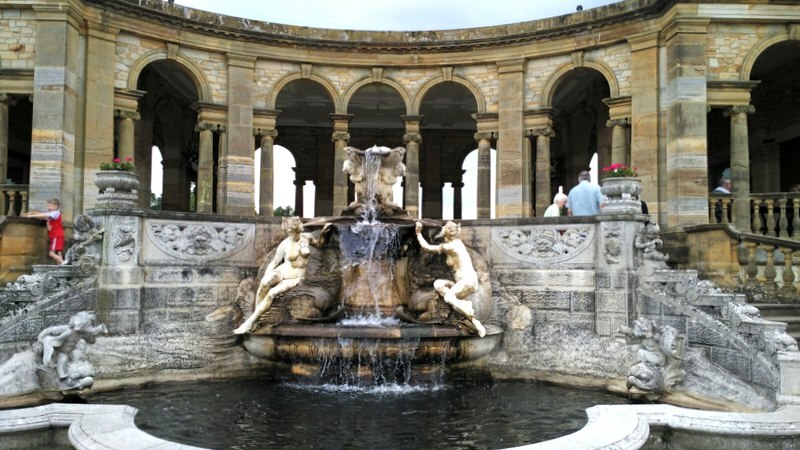 The woodland walk takes you all around the 38 acre lake and back to Italian loggia which boasts a gorgeous fountain. It took us a good 2 hours to finish our walk, although we were stopping to take photos and walking relatively slowly to take in the incredible views. You can hire row boats and pedalos to ride across the lake, or visit the Japanese tea room which sits delicately at the side of the water. Near the loggia structure is a water maze which is a perfect stop off for families. Winding routes of paving slabs lead you to the centre, but if you do not take the correct route, water will burst up from below the slabs and drench you! It's certainly fun, but us 22 year olds looked rather out of place amongst the young kids! There are a couple of cafes to eat at too, as well as a nearby adventure playground for kids nearer to the entrance. Although the grounds also home a military museum, we did not get around to visiting this as the heavens began to open and we decided it was time to head home. Booking online worked out slightly cheaper, and our student tickets only cost £13.20 for entrance to the castle and grounds. One heads up is that although the grounds open at 10.30 am, the castle doesn't open until 12pm- but a stroll through the gardens will kill that time anyway. All in all, this is a great day out for anyone; history nerds, couples wanting a good date idea, families with young children, keen walkers and everyone in between. 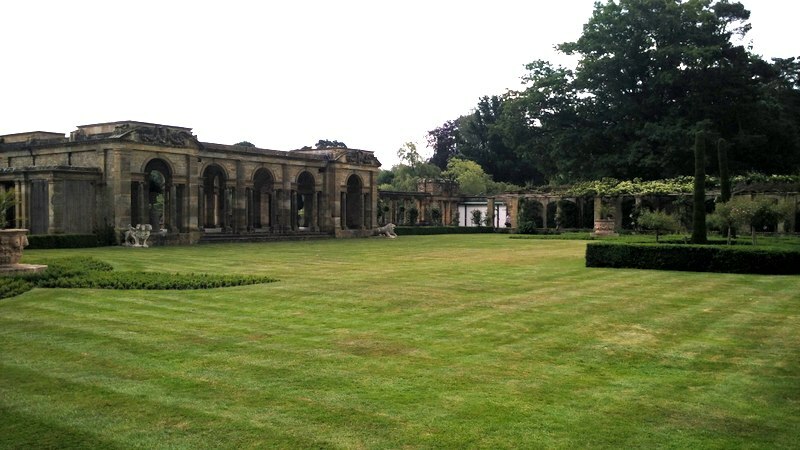 Even if you are not necessarily a huge fan of history, the grounds and gardens themselves will blow you away. 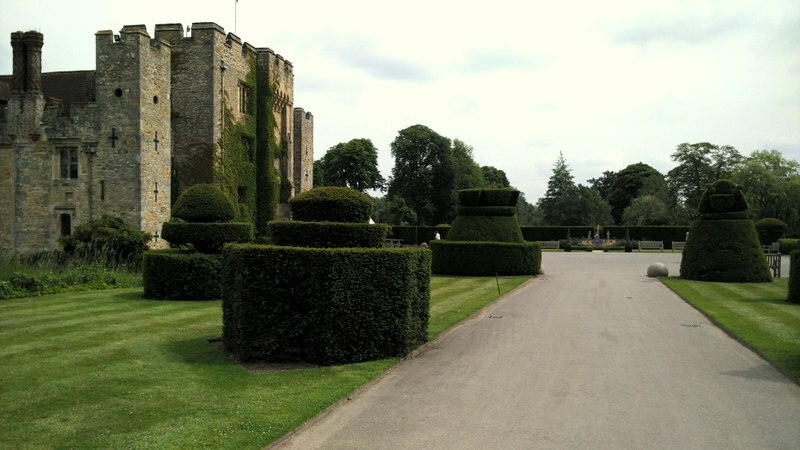 Have you visited Hever Castle? Which other similar places do you love visiting?